Really pretty! I love it! This should be on exhibition in a gallery...it's just so lovely....I'd love to see it incorporated into a mini art quilt. What a great idea and so perfectly done! agree! I love it! Makes me want to stitch right now! Oh I am in love with this, holy smokes! Thats gorgeous! It's amazing what just thread, fabric, and a creative mind can make! simplicity is always so much more striking and awesome than fussiness. 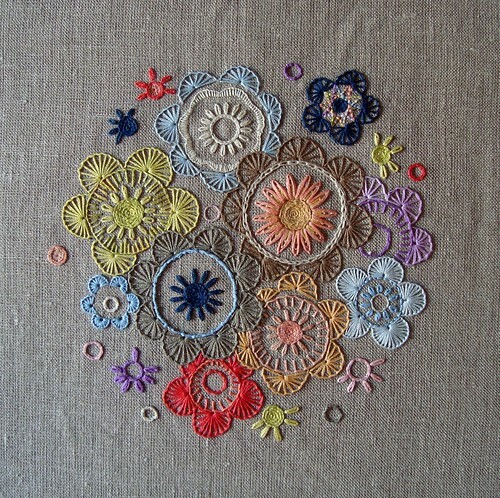 I love this - a great idea and beautiful stitchwork! Well done!